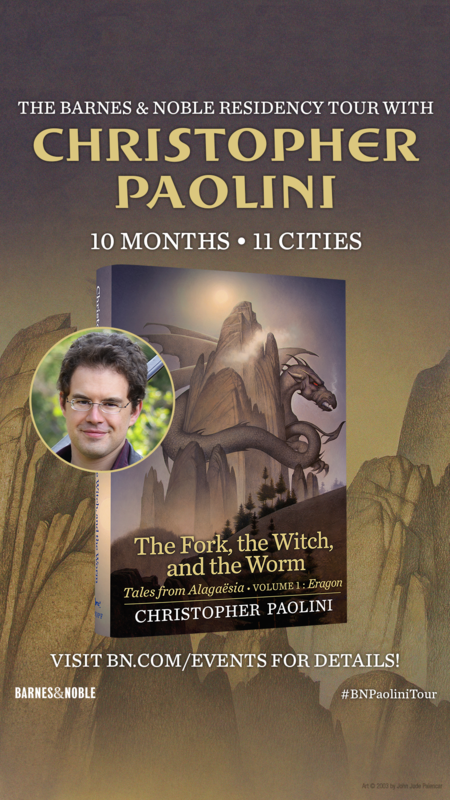 Paolini will appear at 11 Barnes & Noble locations from March-December 2019. These special events will include a presentation by Paolini, a book signing, trivia, social media photo ops, and an exclusive giveaway (while supplies last)! For guests to enter the signing line, they need to have a receipt showing the purchase of one of Christopher’s books from Barnes & Noble.